GTR Lighting CSP Mini LED High Beam Headlight conversion kit with PWM Module and Pass-Through harness is the only option for successfully adding LED high beam bulbs to your Ram! Watch the video for detailed install instructions. These bulbs will replace ONLY the HIGH BEAM BULBS in Rams with reflector and protector headlight housings. 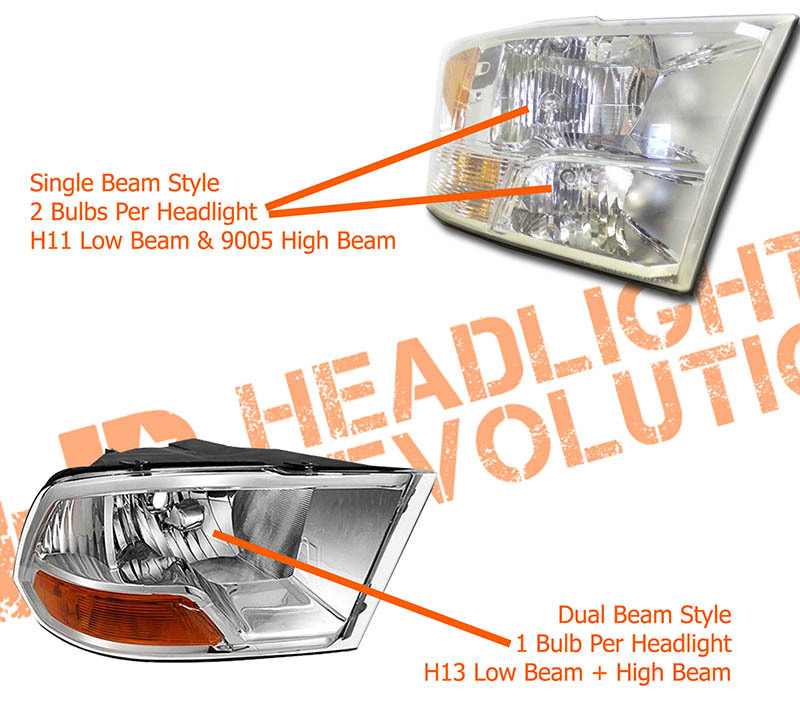 SOLD AS A COMPLETE KIT FOR SINGLE BEAM STYLE HEADLIGHTS (high beam) - Not for use with H13 bulbs! This kit comes with a vehicle specific CANBUS/PWM module, the PerfectFIT LED headlight bulbs for your high beam, and a pair of 9005 style pass-through harnesses. Drilling a hole through your dust cover, and using the pass-through harness is the recommended install method! This kit comes with everything you need to do the install. Pictures are for demonstration purposes only. Actual product may not be shown.